To kick off summer and finish-install season, we are excited to offer a 20% off discount on every type of adhesive film we carry. No matter the finish you need to protect, this sale can help you do so. Be sure to take advantage this month, as this sale runs today through July 1st. Duct Cover Film, all sizes of Carpet Film, Window Film, and Floor & Countertop Film will all be discounted 20% on our website. Collectively, these films offer a huge variety of surface protection, both interior and exterior. 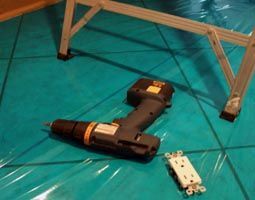 Summer is the season of home shows, finish installations, and tenant move-ins, making it the ideal time to use Carpet Film on projects. Floor & Countertop (Hard Surface) Films are a fantastic way to protect hard floors, countertops, and other finish surfaces. To take advantage of the sale, simply checkout your items via our website, where the discount will be automatically applied, or call us at 541-633-7793 and we can take your discounted order over the phone. To learn more about our adhesive films, or any other surface protection products, visit our website www.buildsitepro.com or email us at sales@buildsitepro.com. This entry was posted in sales & specials, Uncategorized and tagged carpet film, countertop film, floor film, sale, window film by admin. Bookmark the permalink.